FEBRUARY 10--Meet Shaneka Monique Torres. 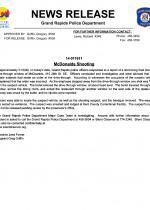 Angered that her order had been botched by McDonald’s workers, the Michigan woman fired a single shot into the restaurant’s drive-thru window around 3:10 this morning, Grand Rapids police allege. 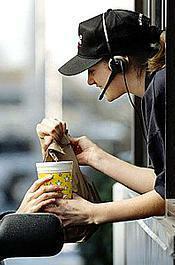 Torres was reportedly upset because she expected bacon on the sandwich she ordered. 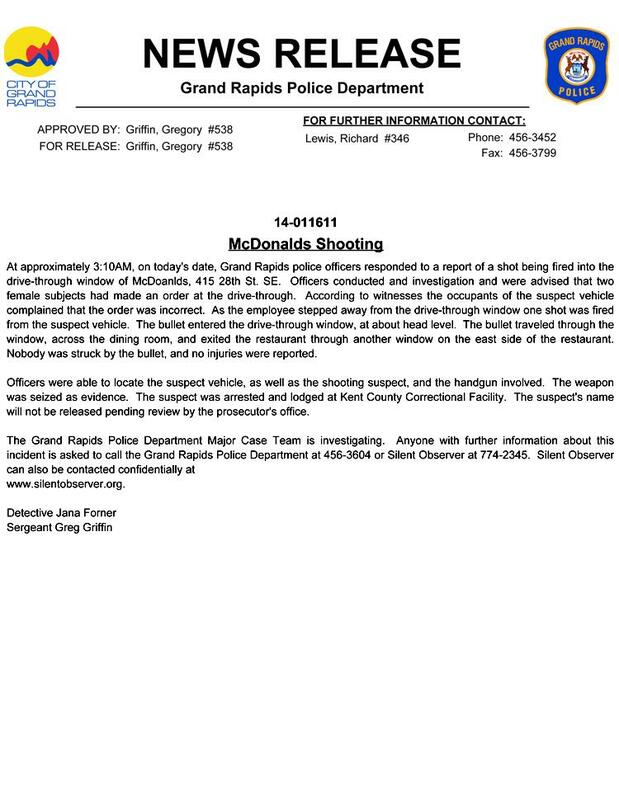 The bullet, police reported, entered the eatery at “head level” and “traveled through the window, across the dining room, and exited the restaurant through another window on the east side of the restaurant.” Nobody was hit, however. Officers subsequently located the car from which the shot allegedly was fired. Torres was arrested and “the handgun involved” was seized as evidence.